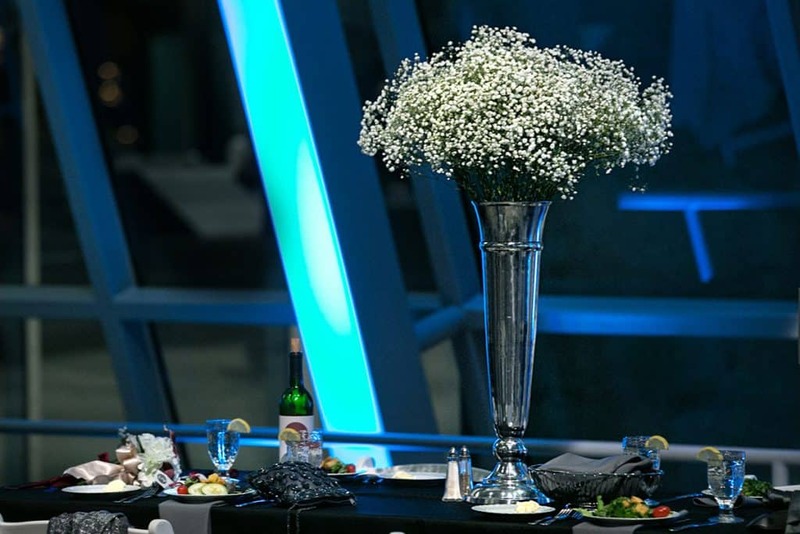 One of the most unique wedding reception venues in Akron is the Akron Art Museum. I mean, it’s and art museum, right? Not a typical wedding reception venue. Located in the heart of downtown Akron, the Akron Art Museum is centrally located to take advantage of what Akron has to offer. 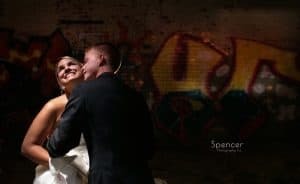 I’ve done weddings, engagement pictures and senior pictures at the museum. Although a small town, downtown Akron offers quite a bit in terms of diversity, not only culturally but in providing photo opportunities. There is Baxter’s Bar which I use quite frequently for pictures, both engagement pictures and wedding pictures. The Lockview, which is right next door. Then there is Musica, a music venue that is just right across the way that I’ve used in the past. Blu Jazz which I would LOVE to use. All kinds of cool places to, not only hang out, but to get great pictures. 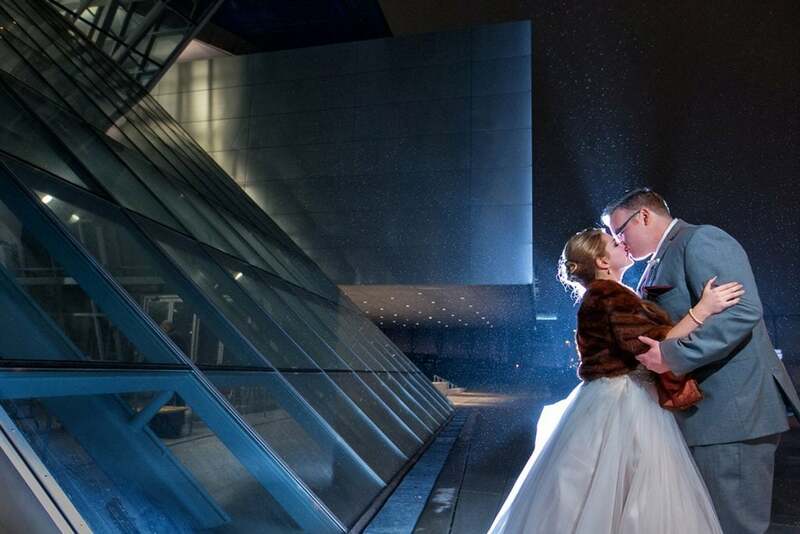 However, there really isn’t a need to venture too far from the museum to have a great backdrop for wedding photos. The structure itself is perfect. It first opened in 1922 the museum actually started out as an art school. The first, main brick building began as a post office. The first, main brick building began as a post office. 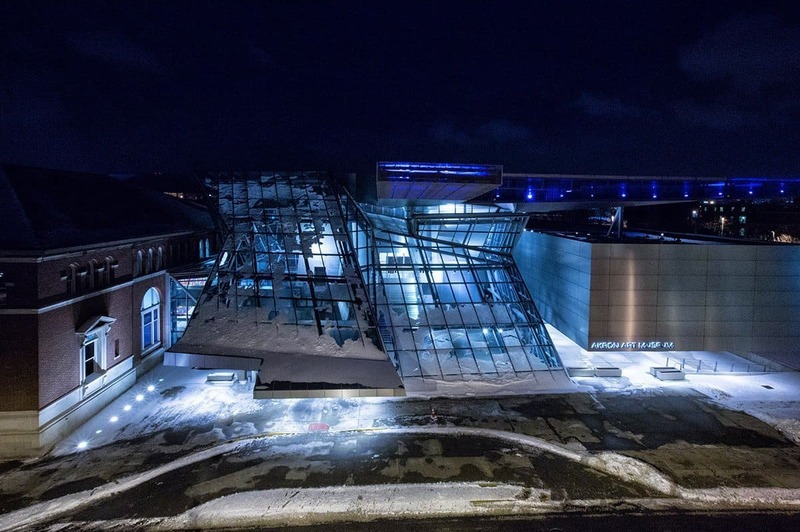 Additions culminated into “The Crystal” the beautiful structure that is the museum’s main entrance and lobby.It “officially” became “The Akron Art Museum” in 1980 after continuous iterations. It is also the area were weddings and receptions take place. An unorthodox space for a wedding reception, events usually wrap around the grand staircase that lead up to the exhibits. 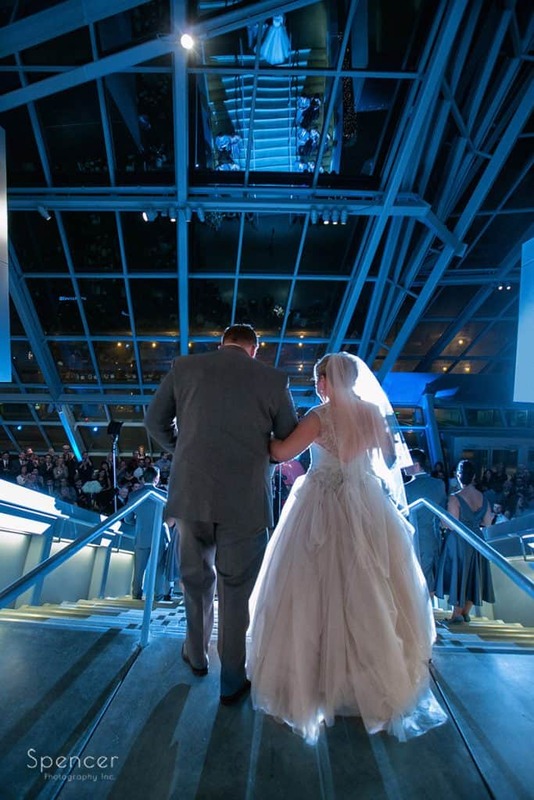 All glass and steel, it is the most unique backdrop for wedding receptions that you will find in Northeast Ohio. I love using the space for geometric compositions. The museum uses a list of museum approved caterers, all of whom are as diverse as the vision that each bride has for her wedding day. There are many area hotels to choose from. The Courtyard Downtown Akron is within walking distance (although I would advise against walking since you would have to cross heavily trafficked streets). The Akron Hilton is within a short drive, as it the Doubletree Akron. 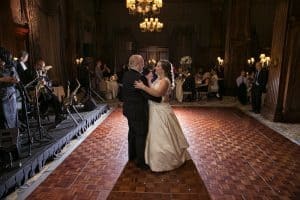 If you are looking for something totally unique, having your wedding reception at Akron Art Museum is a fantastic choice. That’s why I’ve included it in my list of best wedding venues in Akron. Previous PostIs Hiring an Award Winning Photographer Important? 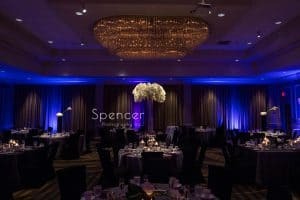 Hi there, thank you for writing about Akron wedding reception venue in your blog. 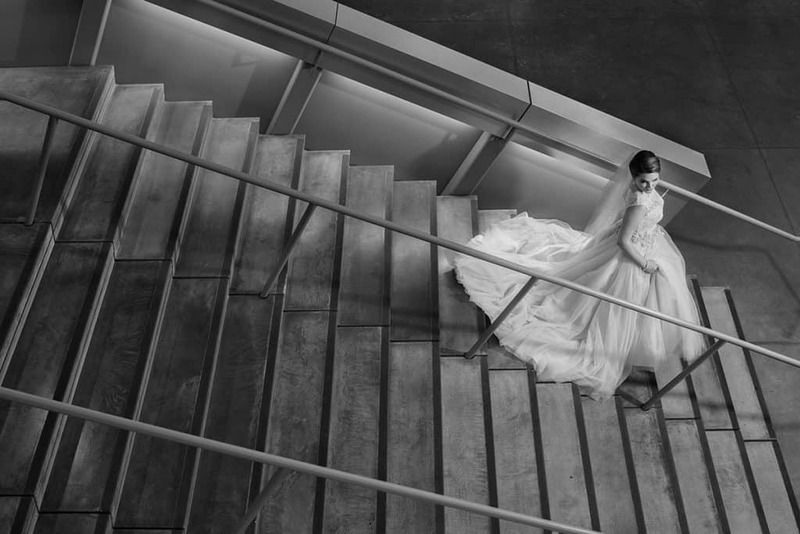 I really like the idea of choosing Akron art museum as the wedding reception venue. Keep writing such amazing blogs!